Originally I wanted to prepare something like my post from 2015 about BPMN tools, which simply listed the tools supporting the BPMN standard. However, with RPA tools situation is not that easy. First of all, there is no common definition of what is a RPA tool. Therefore you can see AI tools, IT Process Automation software, macro recorders, scripting tools, as well as full blown process automation tools appear under one term: Robotic Process Automation. This reminds me situation from about 10 years ago when many tool vendors started claiming they offer BPMS. With a bit of luck in few years time situation will be more clear, because since 2017 there is an “P2755-2017 IEEE Guide for Terms and Concepts in Intelligent Process Automation“, which defines terms such as Cognitive Automation, Robotic Desktop Automation (RDA) and Robotic Process Automation (RPA). However currently you will see all those tools under RPA umbrella. That’s why I also decided not to introduce the RDA/RPA division. Second point is even more tricky. Since various tools have different capabilities it is not easy to select proper one for your case. One could say that many of the RPA tools have incredible powers like superheroes, however they also have their own weaknesses. In addition, while some tools have Superman-like level of superpowers, others are more like Robin from Teen Titans 😉 – capable of many useful things, young and ambitious but still waiting for a chance to save the world. Sadly there is no RPA counterpart of BPMN MIWG or DMCommunity Challenges which would allow comparing how different tools approach standard test cases. Maybe this would be good extension of this post? How to use this post? First of all, you need to understand what kind of capabilities do you need and what you can use in practice. This will help you avoid situation when you invest in a sophisticated tool which potential you can’t fully use. As a follow up it makes sense to think if your needs are so specific, that you need a tool designed for a specific function or vertical. Apart from specific tool features it helps a lot if a company offering a tool knows situation like yours and speaks your language. If you expect that your situation is unique, it will also be helpful to check if the RPA tool is open enough to allow specific extensions and integrations. Next, if is helpful if the tool is easy to learn and there are many learning resources. Trial versions are useful too, as they not only help you test the tool, but also increase number of people who know how to use it. Finally, if you have a limited budget most likely you will have a preference for free or open source versions. Each sub-list is organised alphabetically by company name. PS. Answer is located near the end of the post. 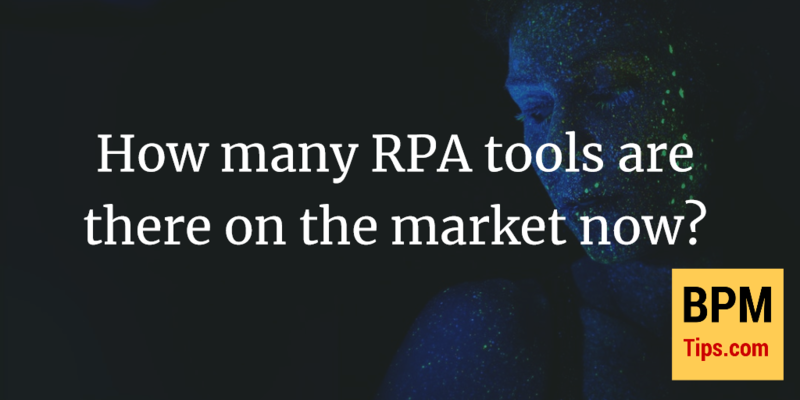 Please note that not all analysts have the same criteria, so while some reports cite proprietary tools available only for customers of service providers, others include only off the shelf RPA tools. Additionally you will find there free tools which I personally would not call RPA, but which can be seen in companies beginning their adventure with software robots. A9T9 offers you for free several nice tools (both for private and commercial use). First of all, there is a Kantu – open source extension for Firefox and Chrome allowing Web Automation. There are also two versions of SeeShell (also free, but not open source) – one for desktop automation and other for web automation. After registration you get access to the academy part with learning resources as well as one free license of HIRO. AutomationEdge is offering free version of their tool: F3 RPA Bot. You get one robot agent which can be used in production. License needs to be renewed yearly. AutomationEdge also provides support for the F3 RPA Bot users. If you are curious: F3 stands for Free, Feature Rich and Fast. G1ANT is offering a free Software Developer Studio License of their tool along with access to the documentation. After you sign up, you get a free license for the Intellibot RPA studio. You can also get support via forum and use marketplace for components. UiPath offers Community Edition of their tool for free. UiPAth Community Edition is for individual developers, open source projects, academic research, education, and small professional teams. Registration gives you free license which needs to be periodically renewed as well as support via forum. There are also tutorial, knowledge base and learning videos available. WorkFusion disrupted the RPA market in early 2017 by offering free RPA Express. This tool can be used for commercial purposes and offers many enterprise grade features. There is also a support forum as well as educational materials. This list is organised by tool name since some tools are developed by single developers and not companies. Those tools are not mentioned in a full list since they do not have necessary input. For each of the tools you will find link to GitHub repository where you can download it, learn more, and (if you are developer) add your code. Tool provided by Oakwood Technologies. Built on top of Python. Telligro provides a free and open source RPA product OPAL. This tool may need some more technical skills to use, but it gives you interesting possibilities. First of all – it’s fully open source. It works on Windows, Linux and MacOS. Finally – as opposed to many open source tools which are developed in a free time of a programmer this one is maintained by a government-funded initiative AI Singapore. Flowchart-based nice automation tool by Arvie Delgado. taskt (formely sharpRPA) is a tool provided by Jason Bayldon. In a few cases I had a chance to see how SikuliX was used for automating processes. 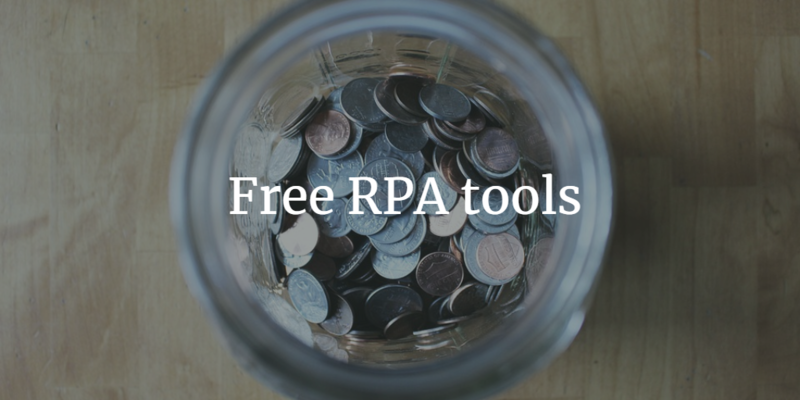 This is not a full blown RPA tool, but allows you to start and has several nice features. If you are bit more technical, you may also want to consider some test automation solutions like e.g. Selenium (for browser automation) or Robot Framework. This list will give you an overview of vendors which took time and effort to create exceptional learning materials for their software. This is also important aspect since you can learn the tool faster and see what is it capable of. Automation Anywhere provides a nice library of 10+ online courses. Some of them are free (over 8 hours of content), others are very reasonably priced. There is also free introductory course on Udemy by Automation Anywhere. Pega Academy contains 100+ courses in several languages. There are 8 courses (and few exams) related to RPA. Overall free courses have over 5 days of content. UiPath offers 9 courses for various groups of users in several languages. Overall there are 100+ hours of content – all for free. There are 6 courses available – some provided by WorkFusion and others by partners. Overall there are 80+ hours of content. All the courses are free. Last element that you may want to consider is whether a company offering RPA tool is supporting standarization efforts. Generally support for open standards is a good sign for end user. While for the time being RPA does not have more technical standards allowing e.g. interoperability between various tools (like BPMN standard for process automation tools), I would expect this in near future. This is a list of RPA tools I could identify on a basis of my own research supplemented by a list of RPA tools provided by Prof. Sobczak (Robonomika.pl) as well as sources listed above. To help you get a better feeling of who is behind the tool, whenever possible, I also added information about the vendor (based on how do they describe themselves on their page). Additionally you will see: presentation of a tool (usually video), info about availability of free version or demo, and educational resources helping you learn more about the tool. I also added links to social media, so that you can stay up to date with news about a given tool. This way, you can easily see if their approach and offering fits your requirements and learn more. 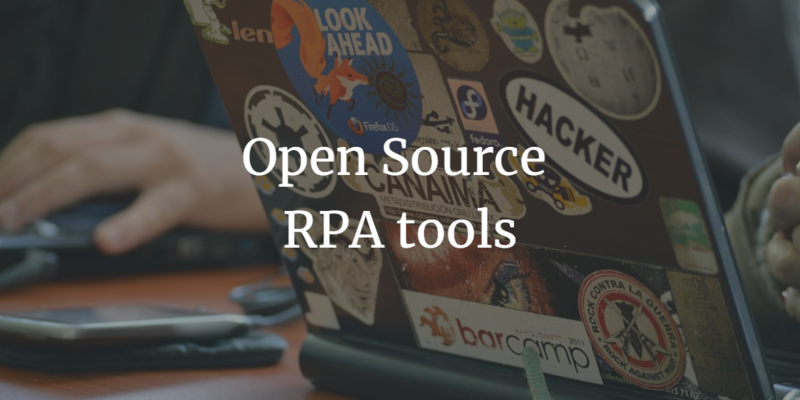 At the bottom of this list you will also find names of the RPA tools I found, but did not have a chance to research more in depth (usually because their website did not provide that many details). Tool: RPA platform (including components called Live Tracking, RoboChat, DIY Robot Designer). Free version: One basic license is free, renewal needed. Installation requires Linux. Tool: Kryon RPA (including Process Discovery, Studio, Console, Robots, Admin). Please note it was previously known as Leo. Tool: NTT DATA Automated Full-Time Equivalent (working with 50+ tools including AFTE framework, AFTE command center, NTT DATA Business Process Management Suite). NTT DATA also partners with: Automation Anywhere, Blue Prism, IPsoft, and Pega. 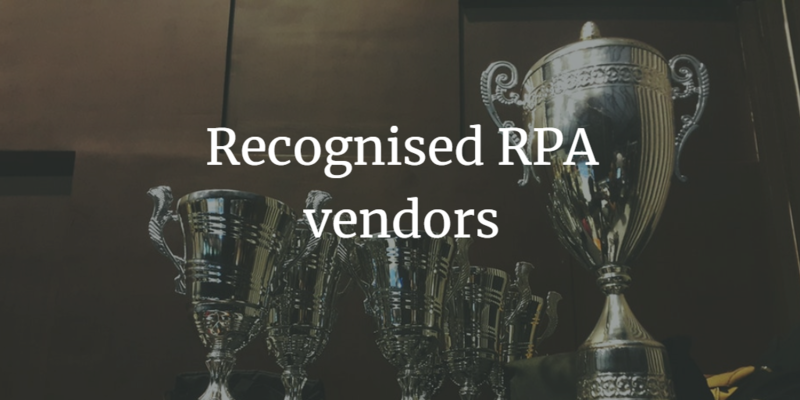 Below you will find more RPA vendors which did not make it to the main list because I could not find enough information about them or did not offer english version of the software. An astonishing amount if information in one place. Thank you for your time and effort to put this together as the information is very useful.